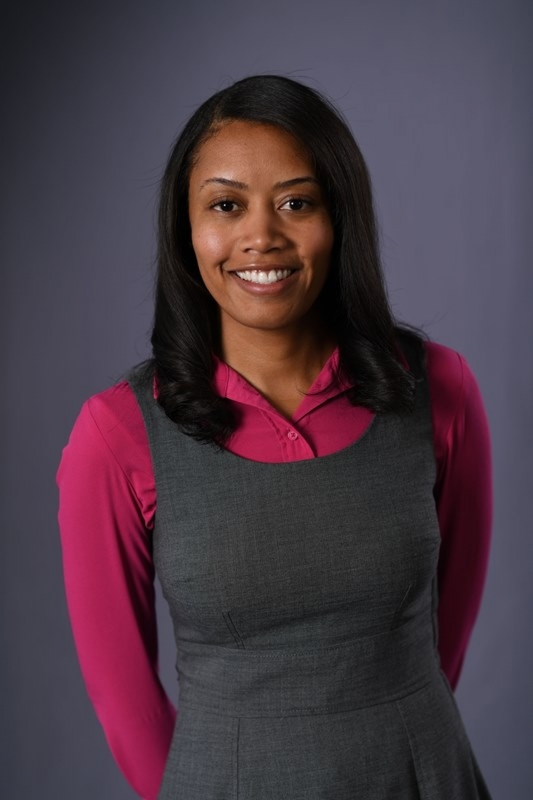 NORMAN — University of Oklahoma Vice President and Director of Athletics Joe Castiglione announced today the hiring of Armani Dawkins as an OU senior associate athletics director. The appointment fills a vacant position that resulted from the shift of Senior Associate Athletics Director Zac Selmon to oversight of The Sooner Club. Dawkins comes to OU from Holy Cross in Worcester, Mass., where she most recently held the position of associate director of athletics for student-athlete development. She was promoted to that post in May after spending the previous two-and-a-half years as assistant director of athletics. As associate AD, Dawkins was a member of Holy Cross's senior athletics staff and was responsible for implementing a robust series of programming to emphasize and improve the development and welfare of the Crusaders' nearly 700 student-athletes. She also served as the sport supervisor for the field hockey program. "Armani is a bright, rising star administrator who will be an innovator in our department," said Castiglione. "Her background and skill are a great complement to our leadership team. I am confident that she will help us become more dynamic and efficient as she contributes to strengthening our culture focused on a world-class experience for our student-athletes." At Holy Cross, Dawkins initiated partnerships with programs such as the Victory Academy, and furthered collaboration with the college's Center for Career Development. Under her guidance, the Holy Cross Student-Athlete Advisory Committee made significant strides in advancing its five pillars — leadership, academic excellence, career development, community engagement and mental health and wellness — and fostered growth with the creation of such groups as WE LEAD (Women's Empowerment through Leadership Education and Development) and MOCA (Men of Color Athletes). "I am both honored and humbled by the opportunity to serve one of the most storied programs in college athletics," said Dawkins. "Undeniably, Joe Castiglione is one of the nation's most successful athletics directors, and I would like to thank him for inviting me to join Sooner Nation for what I know will be an incredible experience among the very best student-athletes, coaches and staff in the country. "The University of Oklahoma has an unwavering commitment to academic and athletics excellence, and my husband Andre and I could not be more excited to join the Sooner family. I'm looking forward to continuing to elevate the power of athletics to pursue championships in sport and in life." Prior to her time at Holy Cross, Dawkins worked at Duke University from 2010 to 2015. Her most recent post at Duke was special assistant to the vice president and director of athletics, and she handled oversight responsibilities for the athletics director's routine commitments, including public relations obligations and correspondence. In addition, Dawkins assisted the director of athletics with responsibilities for the Division I NCAA men's basketball committee, United States Olympic Committee and Advocates for Athletic Equity. She also had oversight responsibility for all the executive administrative operations. She previously held positions with Duke as the assistant director of Iron Dukes for special events, and assistant director of administrative operations and human resources. Dawkins arrived at Duke after serving as a branding and communications intern for the NCAA. A 2008 graduate of the University of Nevada-Las Vegas, Dawkins earned a bachelor's degree in journalism and media studies. She was a member of UNLV's women's soccer team, helping the Rebels to three Mountain West Conference titles while earning Academic All-Mountain West Conference honors. Dawkins went on to earn a master's degree in strategic public relations from George Washington University in 2015. Dawkins' hire is pending OU Board of Regents approval.